The amount of energy you are willing to invest in your quest to getting free Wi-Fi. The networks around your home. This guide is meant to provide you with the practical routes to legally and legitimately access Wi-Fi at home without paying an Internet Service Provider for it. It also considers the time you would likely invest to ensure you are connected to the internet hassle-free. But what would free Wi-Fi allow you to do? Well, free Wi-Fi connection will give you access to the internet without you paying any money. Nevertheless, you will be at the mercy of the discretion of the network owner as it concerns the speed of the network and the content you browse. The resultant effect is that you may experience a slow connection, putting your data at risk or even limiting your access to certain sites. Furthermore, you should be aware that using the internet in a public place might not be totally free, rather it is a give-and-take arrangement, meaning that it is a common polite behavior to always buy something when you take up a place in a public place like a coffee shop. 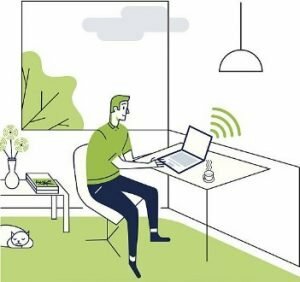 Accessing free Wi-Fi at home simply entails connecting to your friend or neighbor’s Wi-Fi network, or the nearest public Wi-Fi connection. This is the easiest and probably most secure option to use, especially if you trust your friend or neighbor who lives very close to you. This option is a perfect solution for those living in neighboring apartments where two houses are quite close to each other. Here is how to connect to a friend’s Wi-Fi network. Verify that you can access your friend’s wireless network in your home by enabling the wireless feature on your device such as PC or smartphone and allowing it to search for available wireless networks within range. Knowing full well that every secured wireless network is highly protected with some forms of security, you will need a password to connect to that network. So, ask your friend for their password and use it to connect to their network the way you usually connect to any other wireless network. You are good to go! Start surfing any of your favorite sites. Supposing you are living close to a place that offers public wireless connection, do you know that you can connect to such network free without paying any fee? This is very much possible if you live in an area that is close to various public places such as restaurants, libraries, cafes, and even bars. The steps you implemented when connecting to a friend’s wireless network should be taken to connect to a public Wi-Fi connection. Just search for a public wireless network that you can access from your home and connect to it, and voila! The obvious benefit of this option is that it costs little to set up; however, the downside is the risk of having all your data stolen as well as poor connections. When the connection isn’t great…what can you do? You may experience this sometimes, the connection becomes very poor and annoying. In such cases, you could consider the option of buying a portable Wi-Fi range extender or wireless amplifier antenna in order to extend the signal range and boost the connection. Alternatively, you can use one of the Wi-Fi hotspot finders to find free Wi-Fi network near the area you are living in. Most of them have a simple way to get into the large database of all Wi-Fi hotspots and find a service provider near you. Such Wi-Fi hotspot finders will filter only free Wi-Fi hotspots around your area where you can surf for free without paying for connection or ordering something. Rather you would only agree to watch a short sponsor advertisement before using the internet. 1. Find any wireless hotspot near you on a Google Map. 2. Bring your PC to a selected hotspot. 3. From the wireless networks list, select http://www.free-hotspot.com. Unlike when using a friend’s wireless network, the public Wi-Fi connection is prone to some security and privacy risks. There is a lot of network restrictions in public wireless networks. The network is unprotected so others may be watching what you are doing online. Public wireless connection can restrict your data speed as well as block some of the sites you want to surf. Due to the unsecure nature of most public Wi-Fi, hackers and other unscrupulous elements may be using the network and trying to steal your important data. 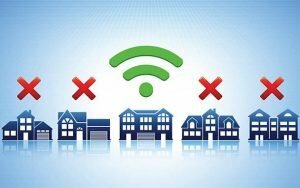 In response to the dangers inherent in public Wi-Fi, the following precautions if applied correctly will help to ensure maximum security on your side as you use public wireless network. It is better not to surf or browse sites that require your personal details or any type of payment details such as passwords, account numbers, credit card numbers, etc. 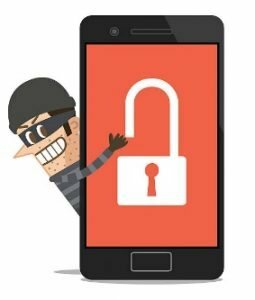 This will limit the amount of data being stolen from unsuspecting users by bad eggs and hackers as well. However, you can use public Wi-Fi without fear of any kind if you can be able to spend some money for VPN. 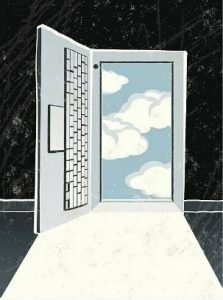 Virtual Private Networks guarantee data security by encrypting all the data that move to and from your computer and routes the data through a server. 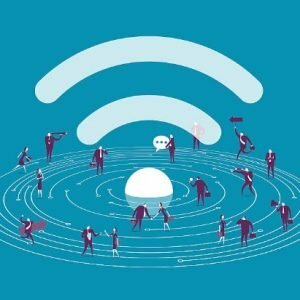 Always thread with caution when it comes to public wireless networks, knowing full well that just as it is easy to connect to such network, it is even easier for hackers to use the network as well to perpetuate their nefarious acts. Warning! Don’t Try This At Home! 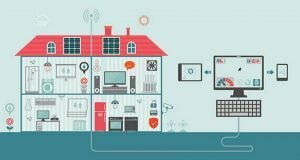 You may be opportune to live in a home where you can easily connect to your neighbor or friend’s unprotected wireless network without their permission or knowledge. Such act is stealing from the technical point of view, immoral, as well as elicit anger in the minds of your neighbor or friend when they realize their blazing-fast network has been halted to a turtle-crawl due to you leeching off of it. Additionally, it predisposes you to hacking as other people or the unsuspected users may be on the unprotected network. So, please, never you try this at home! You can get free Wi-Fi at home just by searching for a friend’s wireless connection or a free public Wi-Fi and connecting to it. All in all, the best route to accessing free Wi-Fi at home is to permissively use a friend’s wireless connection. This will give your data maximum security and you are likely to get a better connection especially if you live close by. Debra Morrison is a lifelong student of human behaviors and social psychology. She has contributed works to various publications based on her years of experience working in treatment facilities and clinics with helping all sorts of patients with different personal struggles. Her interactions and observations with such individuals have allowed her to understand how to create solutions and better road maps for others in similar situations to find their paths again and lead a better and stress-free lives. When she is not working, she likes to consider herself an amateur comedian.